Despite these high sticker prices, survey results from Refresh Leadership and Movin’ On Up, the Express Employment Professionals blog for job seekers, found that parents are still pushing their children to attend college. Interestingly, 33% of business leaders and 33% of job seekers (coincidentally the same percentage) said that their parent/guardian encouraged them to achieve a four-year college degree or higher. According to the Bureau of Labor Statistics (BLS), 66.7% of high school graduates ages 16 to 24 were enrolled in colleges or universities in October 2017. These relatively high college attendance rates resulted in soaring student loan debt. As noted in Forbes, according to Make Lemonade, more than 44 million U.S. borrowers collectively owe $1.5 trillion in student loan debt. Global News notes that Canadian students collectively owe over $28 billion in student loans. Additionally, blue collar workers are happy. A recent study conducted by The Harris Poll and commissioned by Express Employment Professionals found that 86% of blue-collar workers are satisfied with their job, with 85% believing their life is heading “in the right direction.” Encouraging our children to attend college may be the right choice for some children, but it’s worth it to ensure they know about other available opportunities. College isn’t for everyone, and other good-paying, in-demand options exist. What are your thoughts? 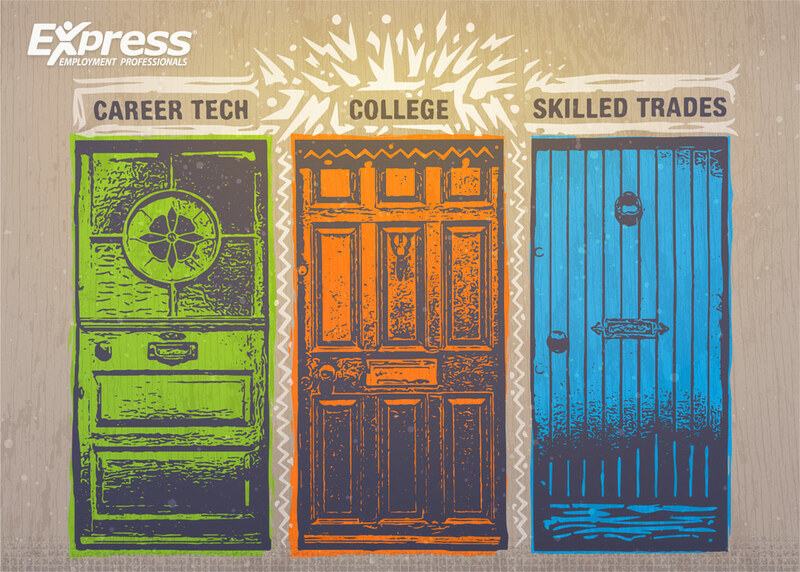 If you could start over, would you opt for a career tech/trade school? Let us know in the comments section below. While I highly value education, I realize that it comes in many shapes and fashions. I think that our institutes of higher learning tend to do our graduating youth a disservice by telling them that the piece of paper is the end-all/be-all to their career dreams. Students come out of colleges with no industry or life experience and expect to make top dollar (our last round of graduates thought that they should be at the $50-60k range). In addition to the education to get their degree, which a large portion of the graduates don’t actually use their specific degree, but “have the piece of paper” that gets them entry into positions where “bachelor’s degree required”. Instead of colleges and universities forcing students to take indoctrinating classes, they should be required to take “life” classes…things that will really help them as functioning adults. Although having a four year degree may not be what everyone needs, let’s not fool ourselves. Most of the quoted salaries in this article are not going to adequately support a family. What could work is to have a profession that does not require a college degree but does require specialized training, some basic business management skill, and some interpersonal training. And, that is not free either, but it may not involve living away from home and utilize a community college and a good career coach.